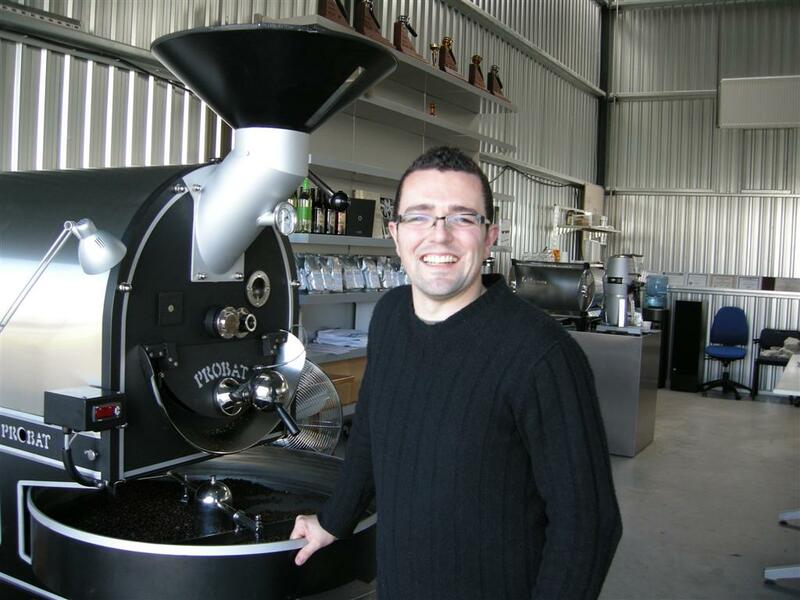 David Makin, the 2006 Australian Barista Champion, visited Copenhagen during the weekend. He's on a world coffee tour to gather inspiration, see different roast styles, taste lots of espressos and meet a lot of people. He's been through Portland (Stumptown), Seattle (Zoka), Vancouver (49th and Mark Prince), Chicago (Intelligensia) and now Copenhagen where I had the pleasure of seeing him again. 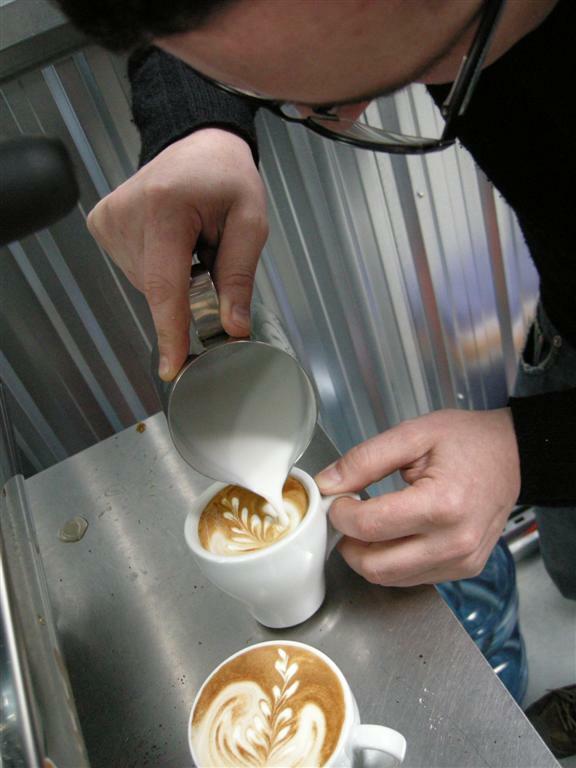 David was quick to jump on the machine at our roastery and pull some shots of our espresso. The Australians in general have a rather different dosing method than us Scandinavians. They tend to up-dose quite a but, limiting the space for the coffee to expand. So naturally it was quite interesting to have him make shots his way. Our espresso was quite fresh (one week old) and came out a bit bubbly, but still had great mouthfeel. David has great skills and after pulling a few shots he completely nailed it and presented a shot with heaps of sweetness and a deep wine-like acidity. Next David is off to London to spend some days with James Hoffmann and then he goes to Milan for the big show down there. I'm so envious of everyone who's going. Especially since La Marzocco are having their 80th birthday party, which I'm sure is going to be awesome. Safe trip onwards Dave! Tack för besöket på Solde idag Casper!